Oh how I love ramen. 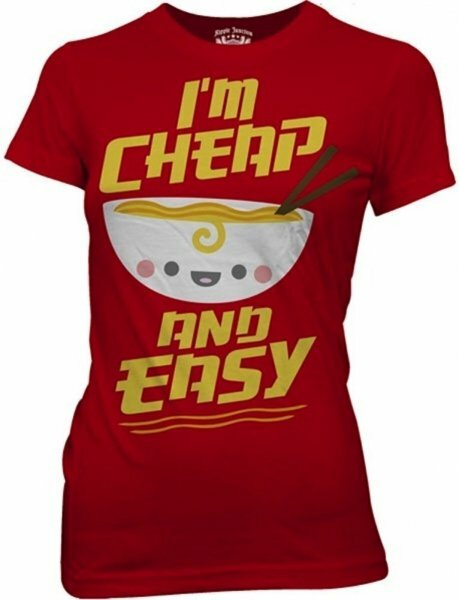 More a fan of the real Japanese restaurant style than the “just add water” but nonetheless this t-shirt is a fantastic homage to the blessed noodle-y goodness. Find it at eBay or at KawaiiNot.com. This t-shirt is jam packed full of cute. It’s by designer Jared Nickerson and you can buy it at Threadless.